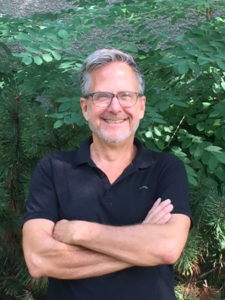 David has extensive experience with fundraising, marketing and event planning for a wide array of non-profits, most notably the New York City Opera at Lincoln Center, where he served as Staff Director for 15 years, and the El Paso Opera, where he served as General and Artistic Director from 2009-2015. Barb Brockley has worked at Crops for over 8 years, and has been instrumental in writing, securing and managing federal and foundation grants. When not at Crops, Barb manages the Brockley Farmaceuticals CSA with her husband Ross and dog Mabel. 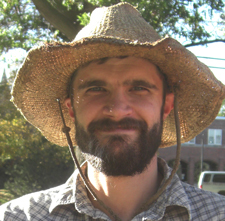 Matt Pirog is the Growing Farmers Program Manager at Community Crops. 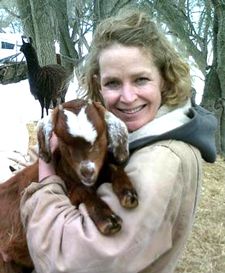 He is responsible for seeking out and facilitating learning opportunities for beginning farmers in Nebraska using lectures, farm tours, and hands-on workshops at the Prairie Pines training farm. He comes to Crops with an educational background in accounting and biological systems engineering, which drives his pursuit of small-scale, soil-regenerative farming models that are also financially sustainable. Matt first developed his gardening/farming addiction at a Community Crops garden in 2010 and has been absorbing everything he can about biologically-intensive agriculture ever since. Classes and opportunities organized by Community Crops have made it possible for him to grow a delicious bounty of food and provided inspiration to pursue a farming lifestyle. He is excited to create those opportunities for others and to help grow the capacity of the Lincoln foodshed. The other hats he wears outside of Community Crops are eccentric gardener, dog buddy and alternating sous-chef at the Falter-Pirog household. Ailyne is the full-time community garden program coordinator. 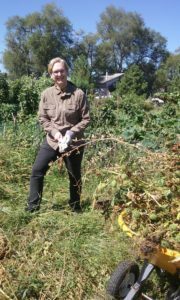 In 2017-2018, she participated in the gardens and with all our gardeners as an AmeriCorps member. We are so excited to be able to utilize her experience and skills to ensure all of our gardeners are successful in growing their own food!